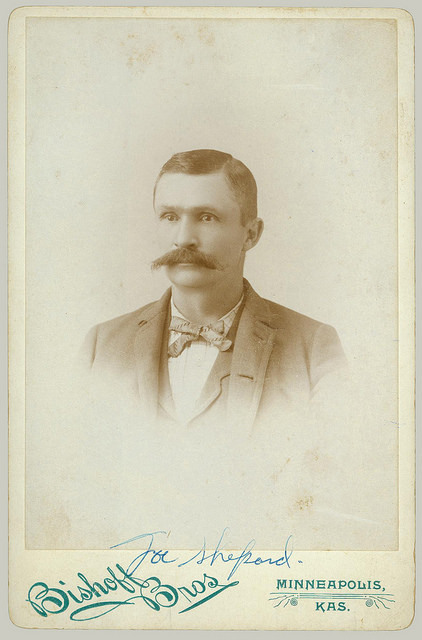 There were several citizens named J B (or B J) Chambers in Texas during the cabinet card era. 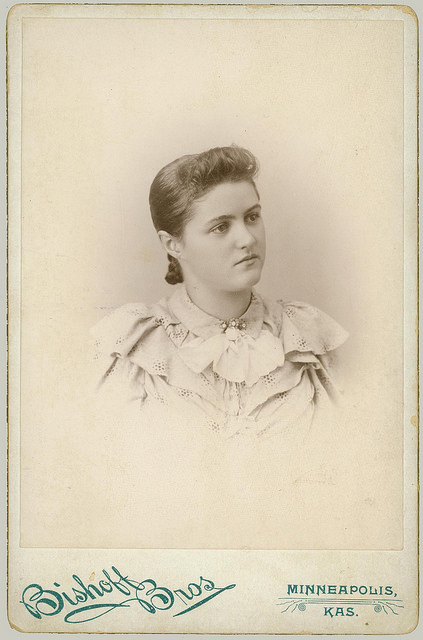 Only one Chambers came up associated with photography and then only once. 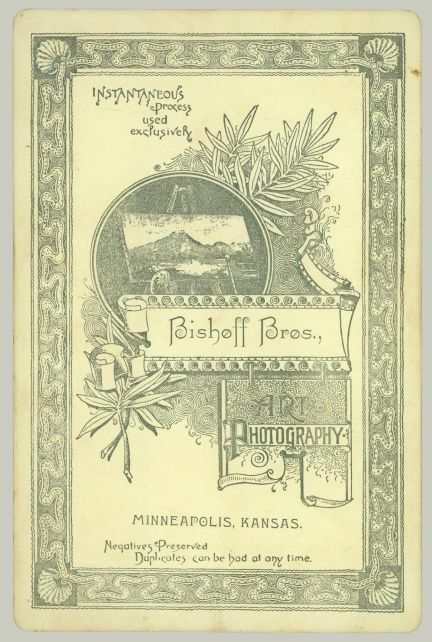 The 1900 US census, John Bennette Chambers is listed as a photographer. All other documents show him as a real estate agent. 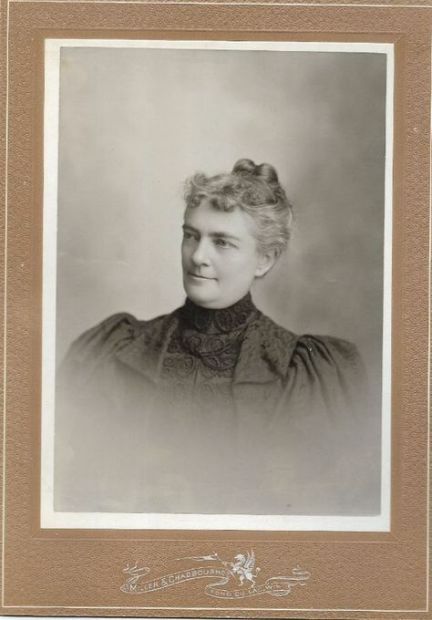 So if this is the correct Chambers as photographer for this unusual cabinet card, it must have been done around 1900. 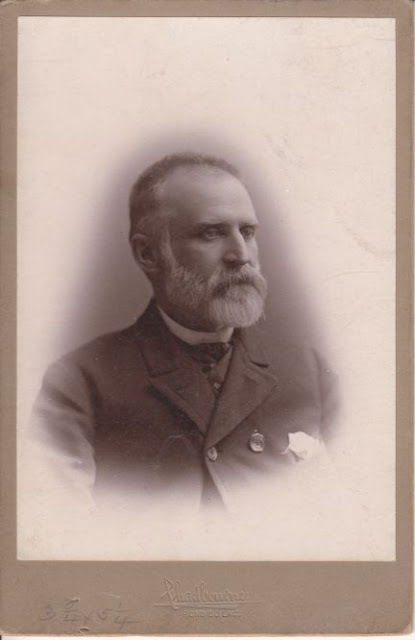 It appears that Chalmers was photographer on his own, at 304 Elm for only a couple years around 1893 to 1894. 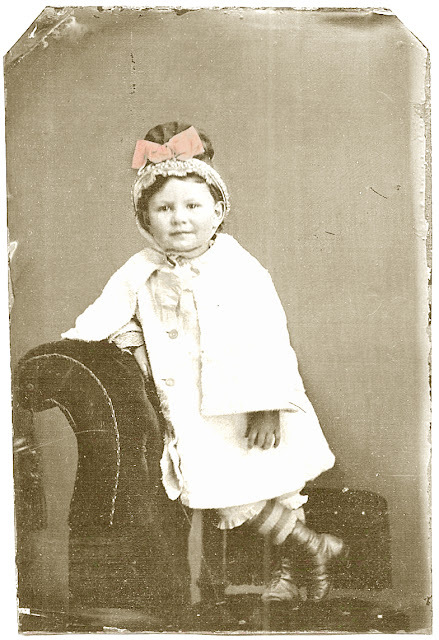 No records have been found after 1910 that place him as photographer. There will be some overlapping of dates since the data comes from several sources and assumptions have been made about events. 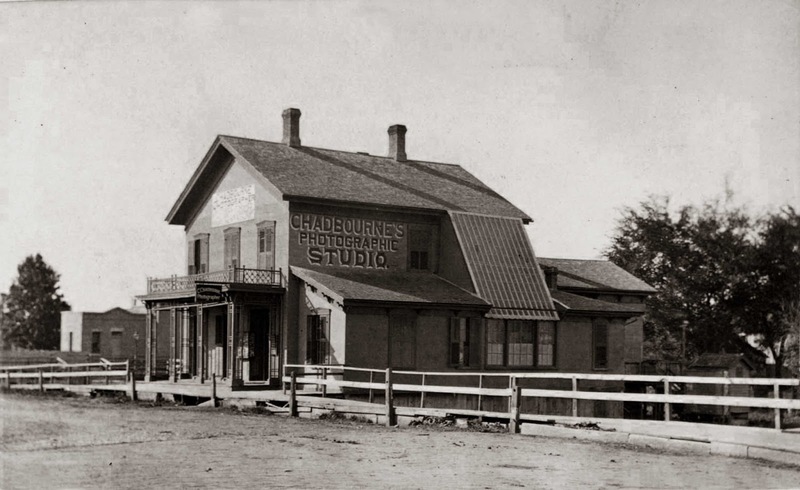 A general sense of where Chadbourne was working can still be drawn. 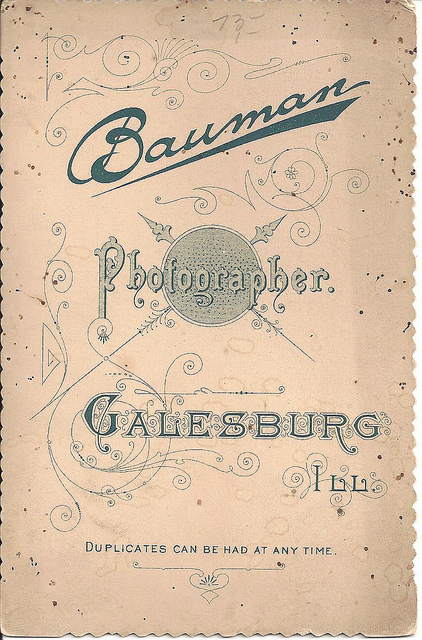 as photographer in Fond du Lac, WI; Photo Beacon reports Chadbourne as first president of the Photographer Association of Wisconsin. 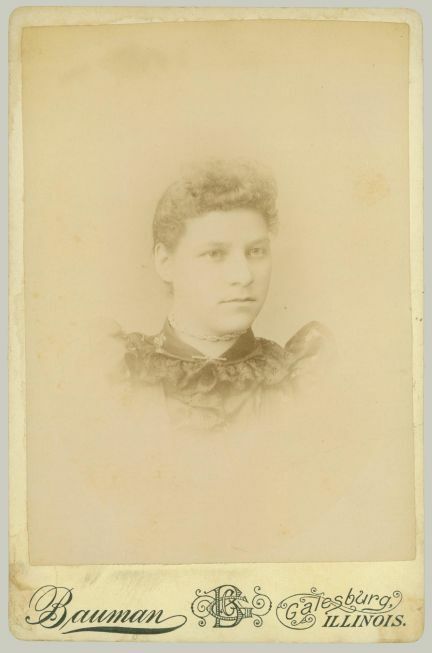 This cabinet card was probably finished during those years when Chadbourne and Miller were partners in Fond du Lac, WI, from August 1874 to about 1884. It appears that the photographic career of F E Baynes was rather short. 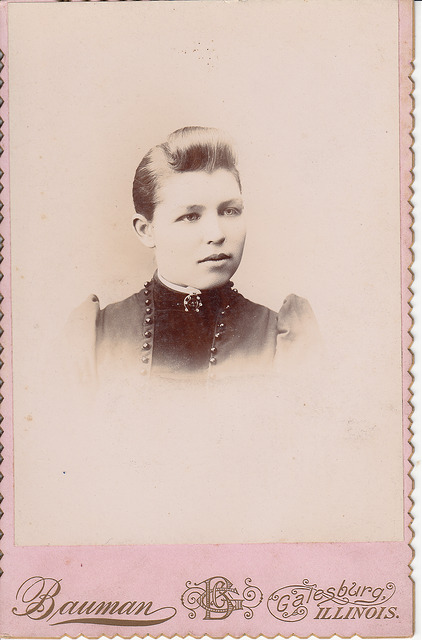 The marriage application of 1899 lists him as a photographer and the 1900 US census also lists him as photographer but by 1906 he has moved to Snohomish, WA, and began life as a bookkeeper. 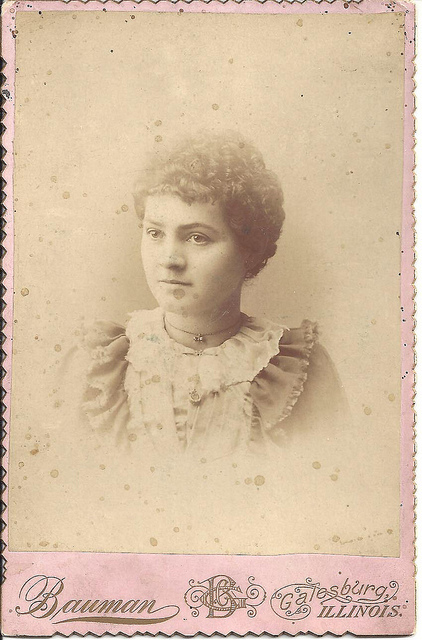 Any cabinet cards found imprinted F E Baynes must have been finished around 1900, possibly as late as 1907 or as early as 1893. 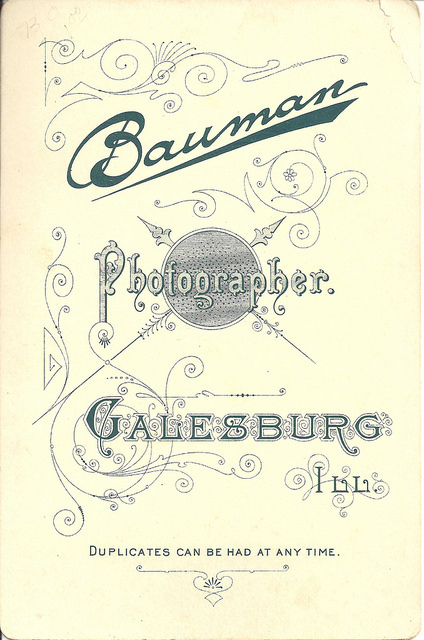 There seems to have been more than one G C Bauman in Midwest US and at least four photographers with the name George Bauman, which confused research a bit. 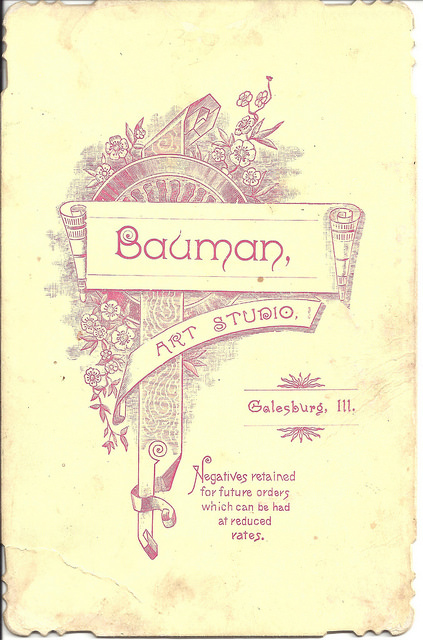 It appears that George Bauman only moved his studio two times in his career. Starting with his studio in Galesburg, IL, he moved first to 211 ½ Jefferson in Burlington, IL, and then to 318 ½ Jefferson in Burlington and then he retired in about 1935. 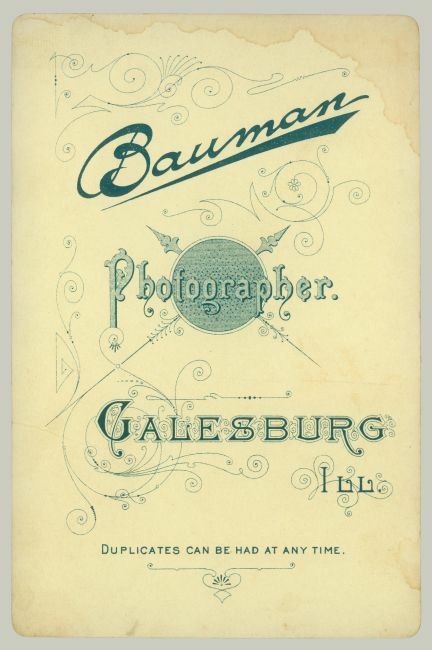 This cabinet card at the left, was probably finished while Bauman was living in Galesburg, IL, between 1882 and 1894. There is a gap in the information found on him but it appears he did not move to Burlington, IL until 1894. 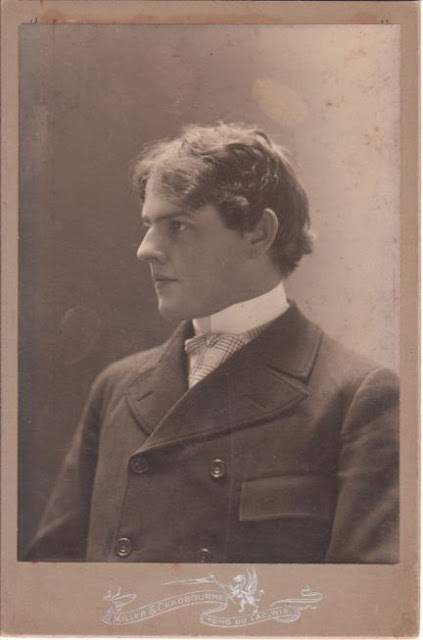 Research for A. L. Russell has developed nothing. 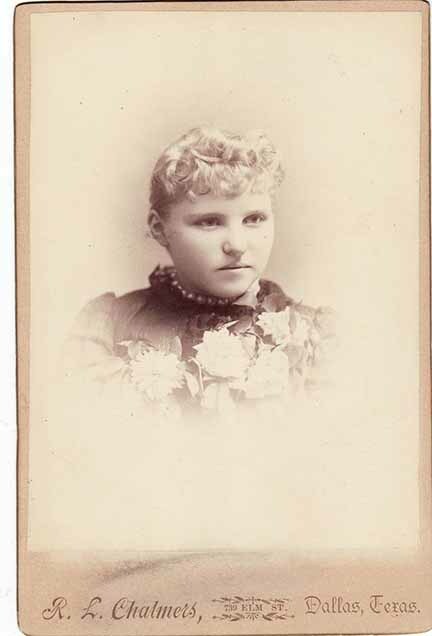 There was one photographer in New York in 1901 by that name but no connection to Chillicothe, MO, could be made. Finally a positive connection has been made to A L Russell. At the right is a copy of page 312 from "Past and Present of Livingston County", published 1913. 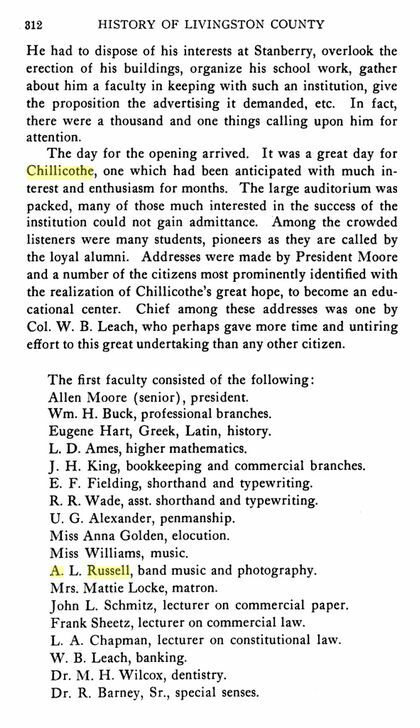 For 1890, it lists an A L Russell as one of the original staff, instructor of Band Music and Photography in Chillicothe Normal School in Chillicothe, MO. 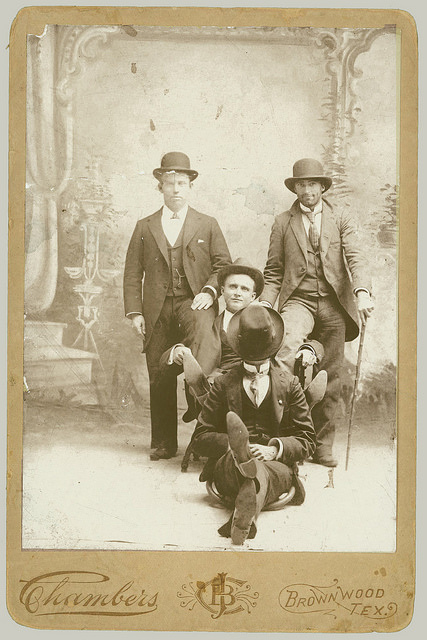 Although examples of photographs from the Bishoff Brothers studio are plentiful around the net, tracing the brothers themselves has been difficult. 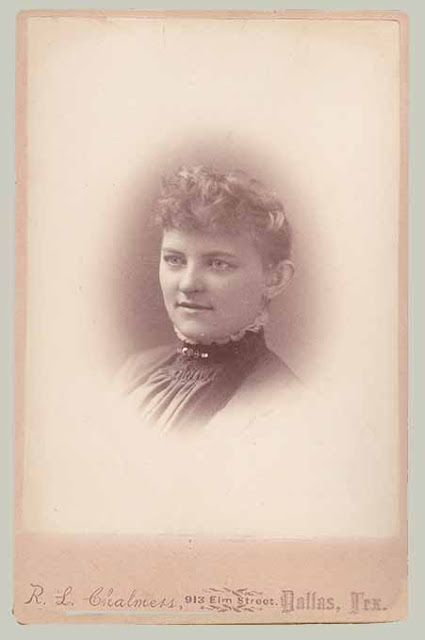 City directory and census listings so far have turned up only Bertha, a bookkeeper; Simon, a peddler; David, a vulcanizer; Sam, a peddler; Kitty, a stenographer; and Raymond, a clerk. 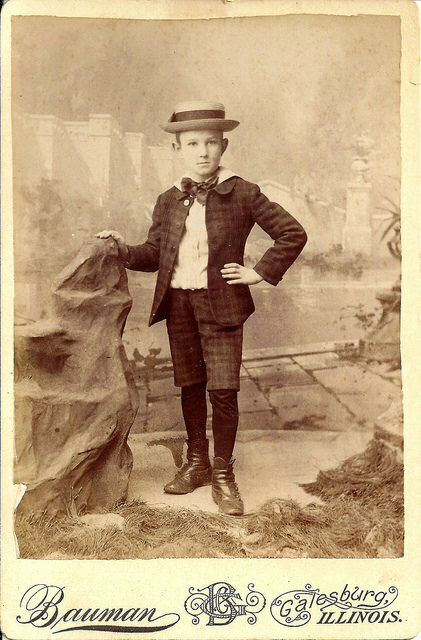 In 1910 the population of the town of Minneapolis, KS, was only 1,800. 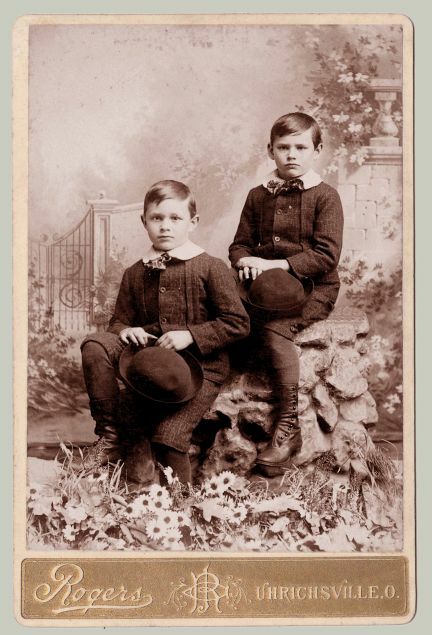 One would think that if two brothers with an unusual name were in business as photographers, it would show up somewhere. 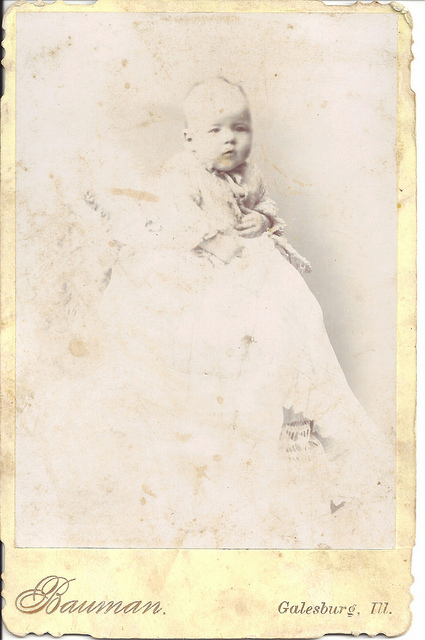 The two cabinet cards above contributed by the family of William Birdsall Bullers and Great Granddaughters of John Lewis “Pop” Bullers . 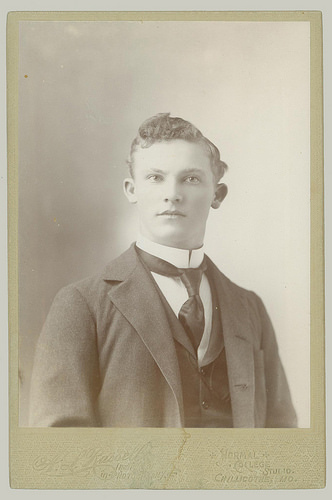 Clues to the life of J A Rogers, photographer, are very scarce. 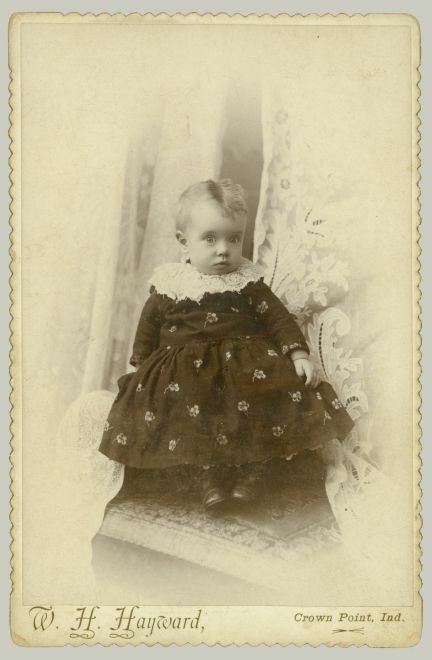 He appears in three US census reports, a few documents concerning his children and little else. 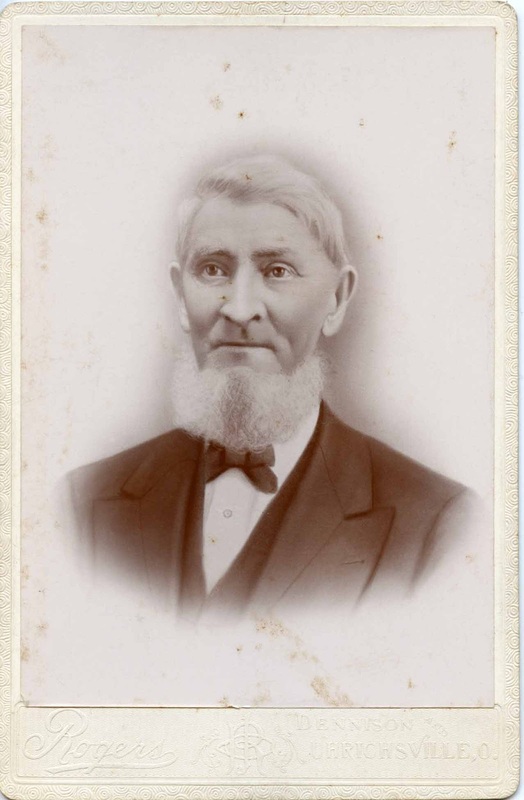 A Cincinnati, OH, newspaper classified ad tells of a gallery for sale in an unnamed “county seat” with interested parties to contact him in Bedford, IN. A small classified ad in 1895, April 23, says that J A Rogers wants to sell a photograph gallery in a town that is a county seat. Rogers may be contacted in Bedford, IN. 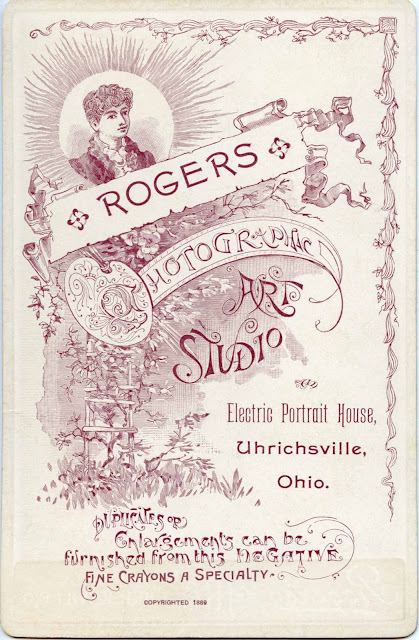 The 1908 Cleveland, OH, city directory lists J A Rogers as a salesman for Dodd-Rogers Company. 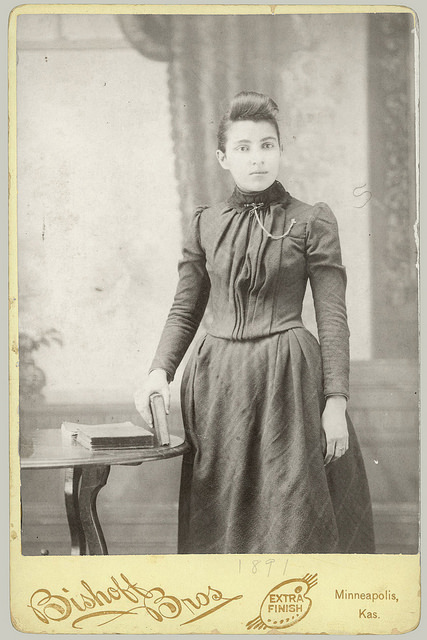 Then the 1909 Cleveland city directory lists J A Rogers’ wife Florida as a widow. 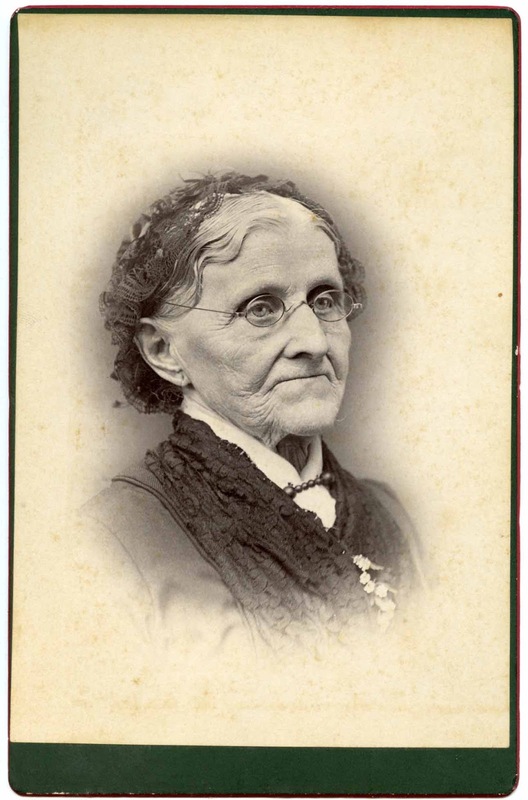 There are no addresses imprinted on the cards at the top of the page, only the town of Ulrichsville, OH. From the elaborate design and good condition of the examples, one might conclude that they were finished in 1900 or after. 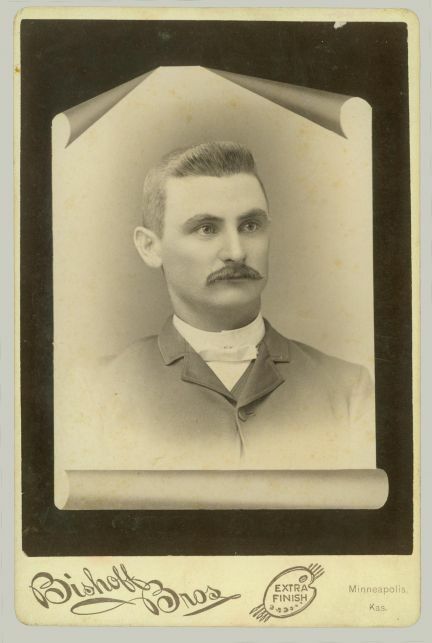 However, these cards were probably finished while Rogers was still living in Ulrichsville, known to be between June of 1886 and July of 1892. 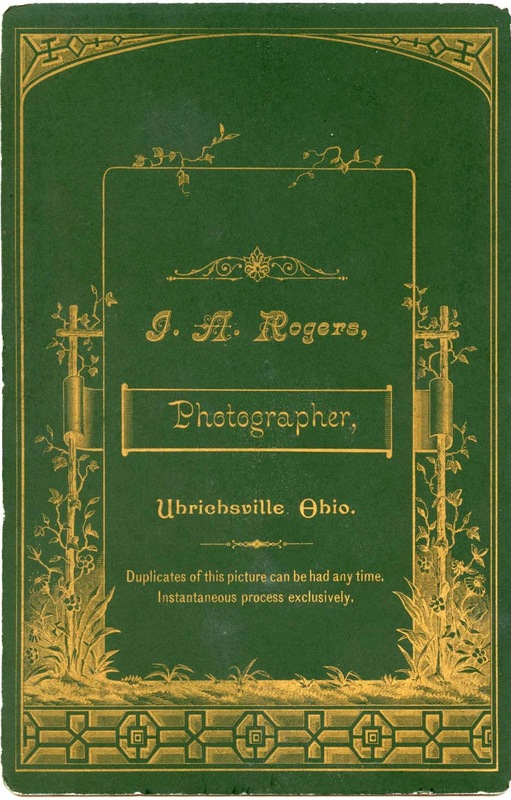 No city directory or other documents are available to show exactly when Rogers actually moved TO and FROM Ulrichsville, OH. 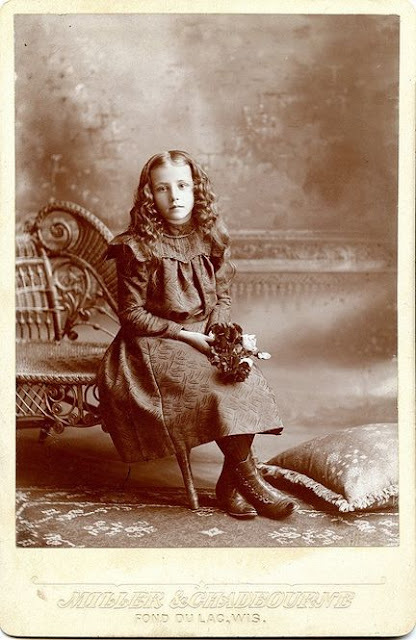 It could have been as early as 1882 and as late as 1900.